I have a confession: I am an oily addict. I'm serious! I use essential oils for everything!! 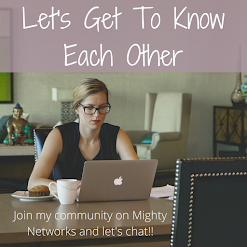 They are perhaps the most versatile substance in my arsenal of holistic products, but I seem to always get the questions about what they are used for. The answer is that you can use them for almost anything! I use them for beauty products, cleaning products, and to help support my mood. Overall, they save me about $1,000 year than when I was buying traditional store bought products. I would love to write about all of my favorite essential oils, but I doubt that you have about 5+ hours to read it. And if you did-- would you really want to read this blog post or would your rather watch the newest episode of The Outlander. Um, Outlander definitely wins! So I had to narrow it down to 11 different essential oils (Lavender, Frankincense, Purification, Lemon, Peppermint, Thieves, Copaiba, RC, DiGize, PanAway, and Stress Away). Why these essential oils you ask. Well, they all come in the Premium Starter Kit so that was kind of my lazy way of deciding! UPDATE: June 19th the Premium Starter Kit changed. This post has been altered to reflect that change. 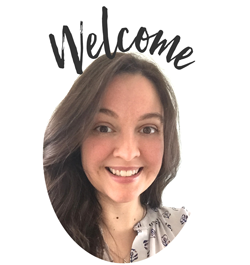 To see EXACTLY what changes were made and what comes in the kit check out this post- Introducing the NEW Premium Starter Kit! To just learn about how to use the oils-- keep reading or watch the video below! The majority of the uses which I am listing I only recommended for Young Living essential oils. Why? Because 90% of the essential oils on the market contain chemicals, pesticide byproducts, or are purposefully cut with other ingredients. Due to poor labeling laws, these bottles can actually have the words "pure" on the title. It is so important to know who your essential oils are coming from so that you can trust you are getting a high quality product. 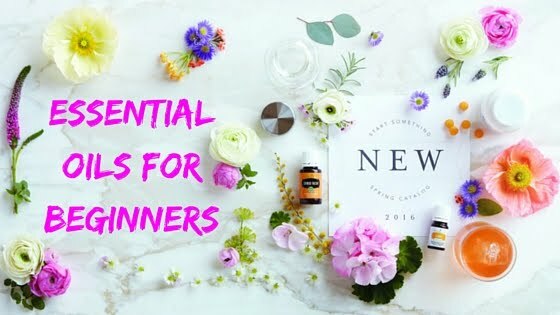 If you want to learn more about Young Living and the Premium Starter Kit please visit How to Find Quality Essential Oils or maybe you're interested in the different ways to use essential oils (topical, aromatic, or ingestion) then you may enjoy the Essential Oil Basics. This is one of the essential oils that I use the most so of course we are going to talk about it first! It's one of those things that you can just use for everything. My friend Lindsay and I joke that the first rule of essential oil use is "When in doubt, always use lavender". I will diffuse lavender, rub it on my feet, put a few drops on my pillow, or take a relaxing lavender bath with epsom salts before bed to get a good night's sleep. But if you want something fancy, check out this lavender magnesium bedtime spray. Lavender can also work to help relax your dog. My mom has a pup who is terrified of thunder and she rubs this on his ears (not inside them) and chest with lavender when a storm is coming. He doesn't even need his thunder coat anymore! Be sure to dilute essential oils with a carrier oil by 75% for toy breeds, 50% for medium size dogs, and 25% for larger dogs. For the support of healthy skin, I have a 1 oz salve jar full of coconut oil and I've added 25-35 drops of lavender. I love using lavender in all of my DIY skin care products because it's just so amazing for healthy skin support. LOVE IT! Check out these recipes for more ideas! This is an amazing trick, but adding some lavender to coconut oil and rubbing it around your eyes (not in your eyes) can help support the skin ! My friend Darlene introduced me to this trick and wow! It works so well! If you get essential oil in your eyes, wash it out with carrier oil-- not water! In research, it has been demonstrated that Lavender may be helpful for a normal stress response. I like to wear it in my diffuser necklace daily, but diffusing it for 3-4 times a day (20 minutes each) can be very helpful as well. 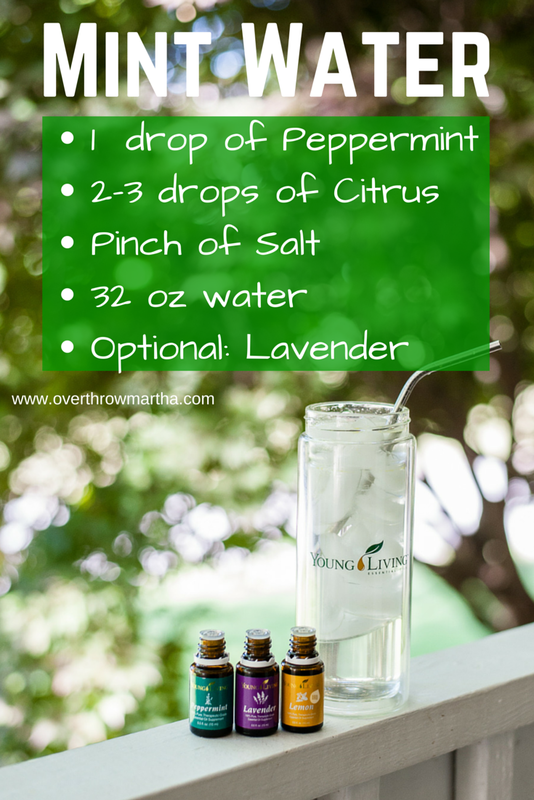 If you want more ways to use lavender--- trust me there are many, many more!! DiGize is a fabulous essential oil blend that contains Ginger, Anise, Fennel, Peppermint, Tarragon, Lemongrass, Patchouli, and Juniper essential oils, and includes naturally occurring constituents like menthol, citrol, and zingiberen. DiGize is ALWAYS in my purse and I take it before every meal when I go out to eat to help support normal and healthy digestion. When I'm traveling, I always bring DiGize because it's a great way to support our digestive system when traveling abroad. Use DiGize with every meal, along with Essentialzymes-4™, to support a daily wellness regiment. DiGize is an ideal complement to the nutritional supplements ComforTone® and JuvaTone®. Purification is a blend of essential oils that smells so amazing! It contains Lemongrass, Citronella, Rosemary, Lavandin, Myrtle, and Melaleuca essential oils and it's so gentle on the skin. This is one of my mom's favorite essential oils to wear as a perfume! This is a big deal in my house because I live with a firefighter, a dog and three cats. Odors are everywhere! I use this carpet freshener to help lift odors from my carpets! Several of my friends are using some sort of medium (baking soda in a sock, cotton balls) with a couple drops of purification to place inside of stinky shoes to remove the odors. I love using purification in the summer! Not only does it smell so fresh and clean, but it can help keep the outdoors annoyance free. Here are some DIY recipes: body butter and a spray recipe. You can also use this on your canine friends in a dog safe recipe! Since Purification is so good at removing odors, I love to use it as an extra boost to my homemade deodorant recipe. This deodorant works for me in the middle of a Florida summer-- I don't know what more you want than that!!! Other people simply mix purification with water and spray their pits. They swear it works, but I'm not that brave. Not in Florida. I admit that I may have a paranoia about traveling. When I travel, I always take a 1 oz spray bottle full of distilled water that I've added 1/4 tsp of salt which has soaked in 15 drops of purification. I'll spray it on the bed as soon as I get to the hotel to help clean the bed! Lemon is one of the biggest powerhouses in the essential oil world when it comes to cleaning both your house and your body! It also tastes great in water or baked goods! DIY Dish soap took me years to make because all the recipes online seem so difficult, but when I came up with this Dish Soap recipe which has a lemon essential oil at it's core-- it was a breeze! My wonderful friend Darlene uses lemon mixed with a little olive oil to clean her cabinets. It really makes them shine and look like new! 1–2 drops to remove gum, oil, grease spots, glue or adhesive, and crayon from most surfaces. One of my good friends even used it to help her husband after he super glued his fingers together while working on a project. Click here to see how easy it is! When my wood gets dull, I turn to lemon essential oil mixed with some every day common ingredients. This Wood Polish recipe features lemon, orange and cedar wood, but you could simply use just lemon essential oils as well. Peppermint is my go to for post-workout aches. I put 1-2 drops of peppermint directly on my body when I feel achey from working out. I love using essential oils for hair care! My hair has become much more healthier now that I incorporate different essential oils into my hair care routine. Peppermint can help support a healthy scalp: DIY shampoo recipe. I love using peppermint to help support my digestive system. I take 1 drop a day in my water using our favorite Mint Water drink! You can also use the vitaflex points or rub it over your belly to help maintain healthy digestion. To be honest, I wasn't crazy about PanAway at first (it smells a bit like Vicks Vapor Rub), but it was the first essential oil that Clint loved and I've grown to really enjoy it. It has really helped him after a long day at work (he's a firefighter). This is great for all sorts of minor muscular discomfort of daily life-- just make sure you read the instructions on the bottle for proper dilutions! Clint loves a PanAway massage. I add 2-4 drops to 1 TBSP of coconut oil and give him a back rub. It can also be applied to achy, sore, or tired muscles for working out. No massage needed! This is one of the most famous and oldest essential oils. I remember hearing about it as a child in church and it being mentioned frequently around Christmas. However, I didn't have my first experience with Frankincense until I was nearly 30. It was love at first sniff! Seriously, this stuff is ahhhhh-maz-ing! Frankincense is know as one of the best natural ways to support healthy skin. I love to use it in all of my DIY beauty recipes, but I particularly love it in this DIY Facial Mask. In my opinion, Frankincense and Lavender are pretty much the power house of skin care and help to keep that fantastic complexion. I love combining the two and at least one of them is in all of my DIY skin care (or hair care) products. Did you know that Frankincense can help support healthy nails? I like to take this in a capsule every day as part of my daily beauty routine. I just love frankincense when I need to relax. There is nothing like it! I dare you to take 5 deep whiffs and tell me you don't feel calmer, relaxed and just ready for the rest of the day! Thieves may be the most well known of all the Young Living essential oil blends. It's being used in hospitals as a cleaner, but yet it's gentle enough that it can be used safely on children. This purifying spray is one of my absolute favorite things! I carry a small vial in my purse to spray on door knobs, tables, carts and even as a hand spray. The best part is that this is so gentle that it can also be used as a breath freshener. Making your own toothpaste is easy and effective! I feel better knowing that my family isn't being exposed to toxic chemicals in their dental products, but that Thieves is helping to keep our teeth clean and gums healthy! Kid friendly toothpaste or one for adults . Also try this DIY Mouthwash. Stress Away isn't part of the Every Day Oil kit, but it is a bonus in the Premium Starter Kit. Normally you can purchase it two ways: The bottle or the Roll-on. The Premium Starter Kit comes with a roller filament so you can change your bottle to a roll-on! The Premium Starter Kit comes with one Roller Filament to make an essential oils a roll-on application. I love putting it on stress away! I keep this in my purse and I will roll it on my wrists, neck, or behind my ears when I need a little Stress Busting power. Do you want to give the gift of a less stressful day? Then make some easy salt scrubs to hand out to your friends. They'll enjoy this gift I'm sure! You can end your day with a stress away bath to help get rid of the every day tensions. 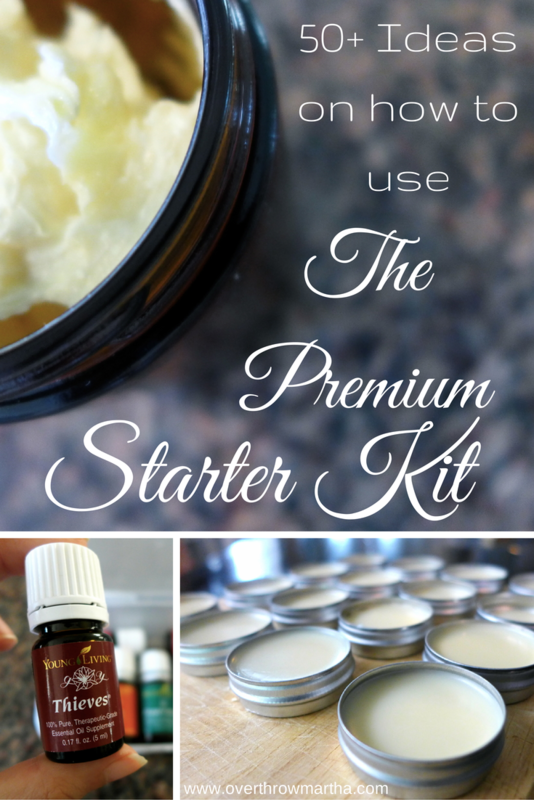 And those are some of my favorite ways to use the essential oils in the premium starter kit. I'd love to hear some of your favorites as well! Add a drop or two of StressAway to your water at work to keep your day going stress-free! RC is a blend of essential oils which contains a unique combination of Cypress, Spruce, and three types of Eucalyptus (E. globulus, E. radiata, and E. citriodora) oils, and includes the naturally occurring constituent limonene. Rub R.C. on your feet or chest before exercise to uplift and inspire. Massage three drops on your feet before bedtime to encourage an atmosphere of comfort. If you ever had a RainDrop massage you know how amazing they can be! R.C. can also be used in place of Aroma Siez™ in Young Living’s Raindrop Technique®. Diffuse RC anytime you want to be invigorated and revitalized. It's amazingly clean and pure which is just exactly what I want my home to smell like! Copaiba is one of my very favorite essential oils! It's good for just about everything it seems like! I love adding this to any of my DIY capsules because it really helps to promote a sense of wellbeing and internal comfort. Copaiba contains the highest amounts of beta caryophyllene (55 percent) of any known essential oil. When I'm writing my blog I often diffuse Citrus Fresh to help boost my creativity and help me write or come up with new recipes. Overwhelmed By The Premium Starter Kit? Watch this video to see my tips for using your Premium Starter Kit without feeling overwhelmed by all the amazinginess. I also really like Thieves, StressAway and RC by itself, but you can see that the diffusing options are endless with these oils! You can also use this simple technique to find out which essential oils would smell great together in a diffuser. It's easy peasy!! You can also read this post for 25 of the BEST Diffusing Recipes! Want More? You can also check out this post for more DIY ideas on how to use some of the essential oils in the Premium Starter Kit for CLEANING. 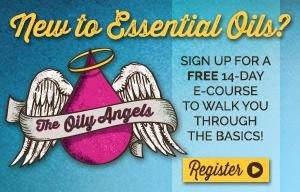 Essential Oil 101 Class by meeeeee!! MWAH! There is another option called the Aria which is GORGEOUS! I do not have that one yet, but everyone who has it sings it's praises. 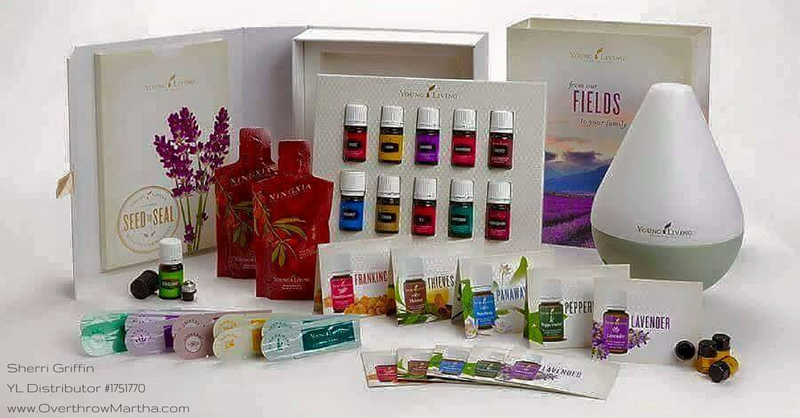 The Premium Starter Kit comes with a total of eleven different essential oils that are in 5 ml bottles. There are roughly 80-100 drops in each bottle which can last months if used in moderation. If you are a lavender junkie (like me) then you may go through them faster. Just to give you an idea, I ran out of lavender in 3 weeks and the longest one that I had from the kit was about 8 months. When you reorder, most bottles will increase to a 15 ml size which is roughly 275 drops of essential oil. It is very important to use quality essential oils especially if you are planning on taking them internally or putting them on your skin. I really believe that being chemical free is the road to health, but unfortunately when people mislabel products-- they make it difficult to reduce chemical exposures. I was not aware of the mislabeling, until I have had readers tell me about adverse reactions from using various adulterated brands which claimed to be "pure" on the bottle. This reactions ranged from asthma attacks to rashes to hair loss! It really shocked me and I wanted to make sure that I was promoting HEALTHY things to you guys! My research led me to Young Living which is what I now use and recommend. If you're interested in purchasing a Premium Starter Kit, please visit How to Purchase Quality Essential Oils. You can even get a 24% discount! (I love discounts!!! ).